The body needs B12 to properly create red blood cells which are responsible for carrying oxygen and energy production. As we age, our ability to absorb B12 decreases. While B12 does not directly increase energy, it helps support energy producing pathways. We use the active form methylcobalamin for increase bioavailability. Adequate levels of B12 play an important role in energy production, neurological function, and red blood cell health. 1. Koury MJ, Ponka P. New insights into erythropoiesis: the roles of folate, vitamin B12, and iron. Annu Rev Nutr. 2004;24:105-31. 2. Köbe T, Witte AV, Schnelle A, et al. Vitamin B12 concentration, memory performance, and hippocampal structure in patients with mild cognitive impairment. Am J Clin Nutr. 2016;103(4):1045-54. 3. Huijts M, Duits A, Staals J, Van oostenbrugge RJ. Association of vitamin B12 deficiency with fatigue and depression after lacunar stroke. PLoS ONE. 2012;7(1):e30519. 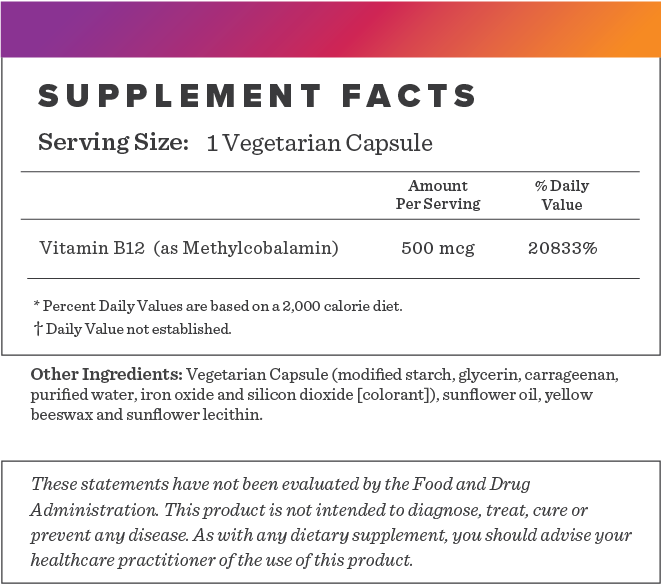 Below we've broken down the main functions of our Vitamin B-12 500mcg and the benefits it can provide. 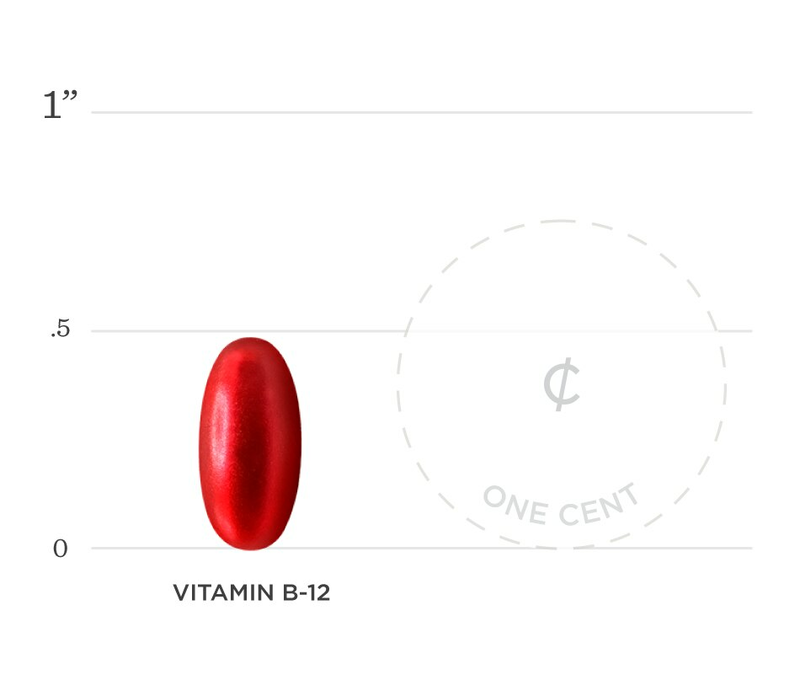 Low Vitamin B12 levels causes a reduction in red blood cells which can lead to megaloblastic anemia. Adequate B12 supplementation helps the body produce red blood cells. Since B vitamins play a role in energy production, Vitamin B12 supplementation may provide an energy boost when deficient. Vitamin B12 deficiency has been linked to memory loss. Supplementation has been shown to improve memory performance and cognitive function.